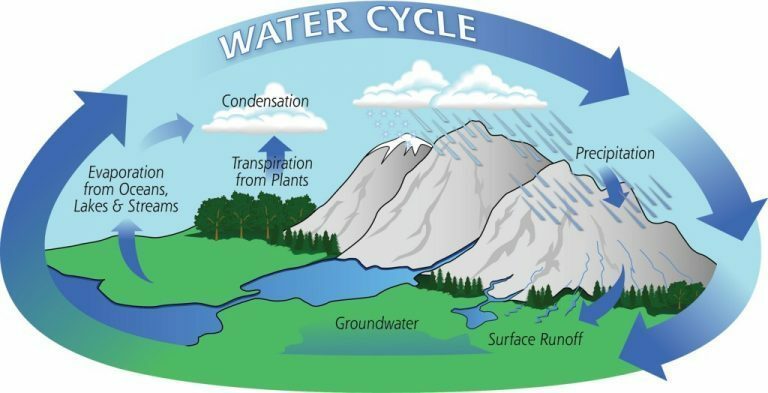 This Grade 7 worksheet is based on a very interesting and important topics, ’Water Cycle ‘ of Grade 7 Science syllabus. Using it, students will be able to understand the concepts of the cyclic process that water goes through in its various physical forms. There are few topics in science wherein we need to understand and memorize. When it comes to learning through memorization, solving worksheets can be productive. This worksheet includes colorful diagrams other than fill-in-blanks, and definitions of specific terms. For tutors this worksheets acts as an “Assessment Tool” which allows them to measure how well students have understood the topic. All substances in nature is in constant circulation through the carbon cycle. Carbon is an essential element and a very important component of various systems in the Earth. Carbon also acts as a component of temperature control. It acts as an important ingredient of food for all living beings through the process of photosynthesis. 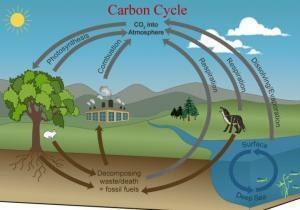 Carbon cycling is one of the most important cycles in nature. For the proper balance of ecosystem all parts of nature are adequately supplied with carbon. Atmosphere is one of the biggest store houses of carbon. It is about 0.038% carbon dioxide. Carbon gets extracted by two ways from the atmosphere. 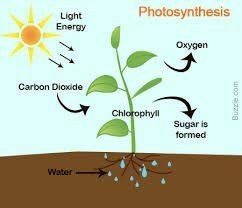 By the process of photosynthesis, where plants take in CO2, and release oxygen in the presence of sunlight and with the help of water to make food for energy. The forest cover that is green plants and even under sea vegetation absorbs the carbon from CO2 and releases oxygen and then the carbon moves through food chains, where organisms get and eventually become nutrients including herbivores, carnivores and finally, decomposers. Through living organisms that is through respiration, carbon is released back into the atmosphere (where organisms use oxygen to burn food for energy absorb nutrients and release carbon dioxide as exhaled product). When an animal dies and its carcass starts’ decomposing in the soil, carbon in it converts into fossil fuels over long periods of time and then also re-enter the atmosphere by combustion. The nitrogen is about 78 per cent in the atmosphere. Nitrogen cannot be absorbed by living things on its own for use, and we breathe it in and back out again. But, nitrogen other element in combination with other elements is vital to life. The nitrogen cycle is mainly carried out by bacteria, fungi and blue-green algae which fix the nitrogen from the air into useable compounds of nitrogen. These nitrogen-fixers generally reside in the soil or on the roots of plants. Like leguminous plants like green peas, beans, alfalfa, clover, lupines etc. Rhizobia are bacteria that are found in the soil that form root nodules by settling in the roots of legumes. After nodule formation they fix nitrogen gas (N2) from the atmosphere turning it into usable form of nitrogen. 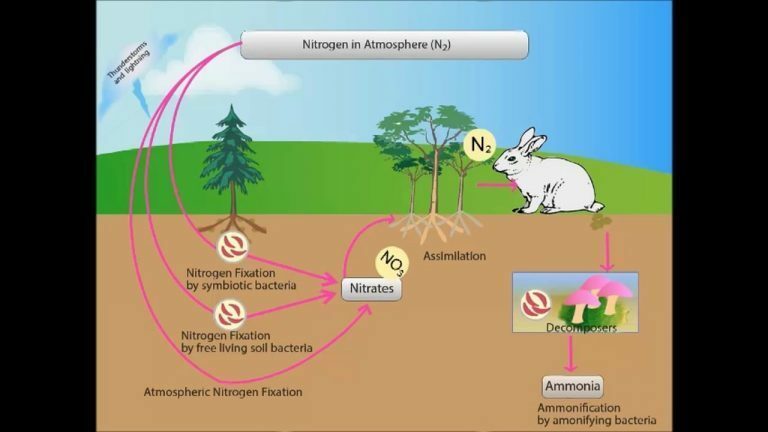 How nitrogen becomes available to living things and gets back to nature? and animals decompose, and when animals excrete. The excreted matter converts into nitrates after complex bacteria acts on it. Various compounds of nitrogen then cycle from the earth to plants to bacteria and back to the earth again and again without getting back to the air. But, sometimes denitrifying also happens ( denitrifying means to remove nitrogen or a nitrogen compound from a substance) bacteria and fungi usually break down nitrogen compounds and release nitrogen back into the atmosphere. Water is the only substance which has a tendency to exist in all three forms of matter: solid, liquid and gas. It also exists at all temperatures on earth, and easily changes from one form into another. Because water has this unique behavior water is available to us or else all the water would be pulled by the force of gravity acting downwards. Water when gets in touch with the atmosphere it evaporates, as the rate of evaporation depends on air temperature, water temperature, wind speed and humidity of the air etc. The amount of water vapor in the air is called the relative humidity and for a given temperature there is a set amount of water that the air can hold. The warmer the air is, the more water it can hold. Water evaporates and moves upward where there is warm air until the temperature is low enough and it cannot hold any more water. At this level the water vapor condenses to form clouds. Droplets of water in the clouds condense on dust particles till they are huge enough hold against the force of gravity’s pull and fall on the ground. This precipitation falls anywhere on a place far from the land area where the water initially evaporated, due to wind movement, and so water forms all over the earth are always being replenished. Oceans and ponds are not the only sources from which water enters the air. Water evaporates from everything that is wet. Water in a container, clothes drying, water spilt on the floor, leaves, a swimming pool, puddles after a rain shower, a steamy bathroom after our shower, all of these are sources of water for evaporation. One of the biggest store houses of ………… is the atmosphere, which is about 0.038% ……………. …………. Through ………………..…., plants take in CO2, water and sunlight to create sugars for energy, and oxygen gas emerges as a by-product. The ……………… is about 78 per cent in the atmosphere. The …………… ……………. is mainly carried out by bacteria, fungi and blue-green algae which fix the nitrogen from the air into nitrogen compounds. The amount of water vapor in the air is called the ………………. …………. and for any given temperature there is a set amount of water that the air can hold.